David Copperfield was one of my favourite heroes as a child. He still is. The quintessential writer hero who narrates his life story. When I started writing The Reengineers, I had assumed that Chinmay would be closer to Holden Caulfield considering the similarities that they both share, such as a smothering family and existential angst fuelled by teenage depression. But when I finished writing the novel and read it objectively, I found myself unconsciously associating the grown up Chinmay who appears for a fleeting moment in the epilogue with David as he completes narrating his own story. 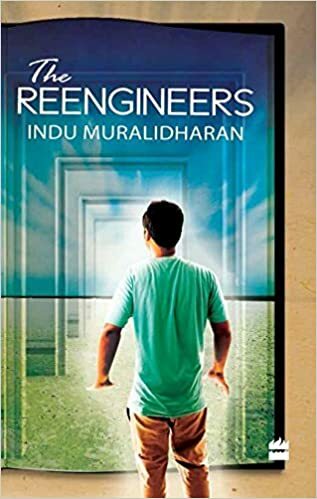 The Reengineers begins with fifteen year old Chinmay waiting in a library on a sweltering Summer morning, reflecting upon his plans to kill himself. It concludes (no spoilers here) with a grown up Chinmay in another time and place, looking out at his snow-covered garden from the warmth of his library, musing upon who really was the hero of his life. Looking back, I believe that there could not have been a greater inspiration, or a better epigraph for The Reengineers than the quote above from Dickens. The first place that I visited in London was Charles Dickens’ museum at 48 Doughty St, where the author lived between 1837 and 1839 and wrote The Pickwick Papers, Oliver Twist, Nicholas Nickleby and parts of Barnaby Rudge. The house was dark and cool, with parts of it having a curious lived-in feeling as though the occupants of the house had just stepped out. The dark silhouttes of the author pointing the visitors at the landings were rather spooky. It felt like trespassing as I followed the signs and the cheerful guides who urged me to step inside and take a look at Charles Dicken’s bedroom, somewhat like reading the private correspondence of the Brownings or the Hugheses. The museum holds the unfinished painting “Dickens’ Dream” by Robert William Buss which shows the author at his desk, surrounded by characters of his novels. I stood for a long moment by his writing desk, paying a silent tribute to the author whose words are part of my earliest memories, and some of whose characters have been no less than my dearest friends. Loved the quotes! Feeling inspired!